Psst … Looking for a good book to read? Well, I’ve got a suggestion for you. The most fabulous book published in the whole wide world. Yes, it’s that good. Of course I’m a little biased as I wrote it. 🙂 This book is the first in a series of five novels. The first two are currently for sale on Amazon and the final three will be out before the end of the year. Sara Donnelly was completely unprepared for what she found when she arrived at New Paltz University. Leaving her parents behind to start a new chapter of her life in New Paltz, a small college town nestled in the Catskills of New York State; she hoped to escape the horrors of her past in the unfamiliar surroundings of her new life as a college student. Little does she know that shortly after her arrival she’ll not only be forced to confront the horrors of her childhood, but everything she’s ever believed about the world she lives in as well. Through her relationships with her mysterious professor Jonathan Walker and his teaching assistant Daniel Simmons, she discovers that her family’s ancient past is the future that’s awaited her in New Paltz all along, causing both men to unexpectedly find their way into her heart, but for very different reasons. With a fiery temperament and spirit to match her red hair, Sara discovers her family history colliding with her present day in ways that even a genealogist such as herself could never have imagined. After all, who could possibly imagine vampires walking out of the pages of fantasy and into your present day? 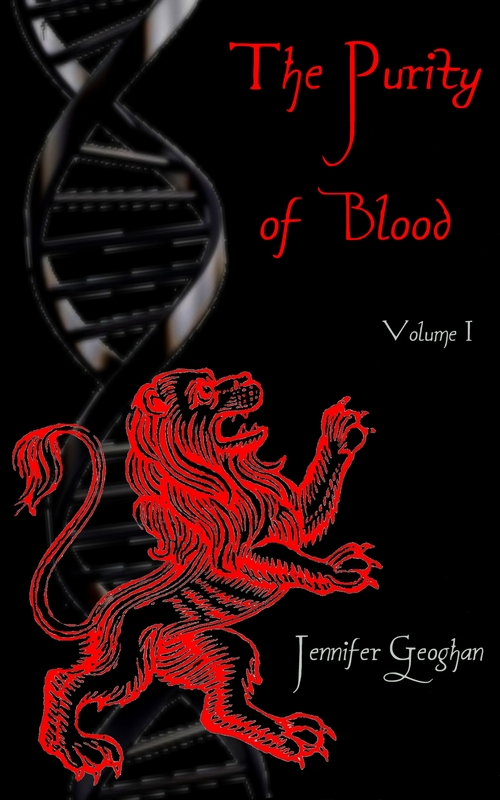 The first in Jennifer Geoghan’s wildly popular The Purity of Blood series, the story of Sara Donnelly continues in Purity Lost and three other full length continuing novels soon to be published in 2014.